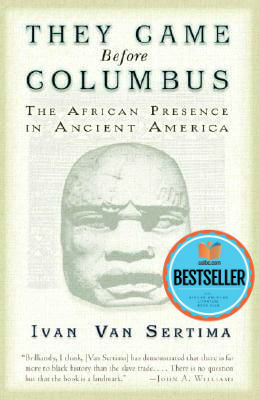 Book Description:They Came Before Columbus reveals a compelling, dramatic, and superbly detailed documentation of the presence and legacy of Africans in ancient America. Examining navigation and shipbuilding; cultural analogies between Native Americans and Africans; the transportation of plants, animals, and textiles between the continents; and the diaries, journals, and oral accounts of the explorers themselves. Ivan Van Sertima builds a pyramid of evidence to support his claim of an African presence in the New World centuries before Columbus. Combining impressive scholarship with a novelist s gift for storytelling, Van Sertima re-creates some of the most powerful scenes of human history: the launching of the great ships of Mali in 1310 (two hundred master boats and two hundred supply boats), the sea expedition of the Mandingo king in 1311, and many others. In They Came Before Columbus, we see clearly the unmistakable face and handprint of black Africans in pre-Columbian America, and their overwhelming impact on the civilizations they encountered. Tell us what do you think about They Came Before Columbus: The African Presence in Ancient America.